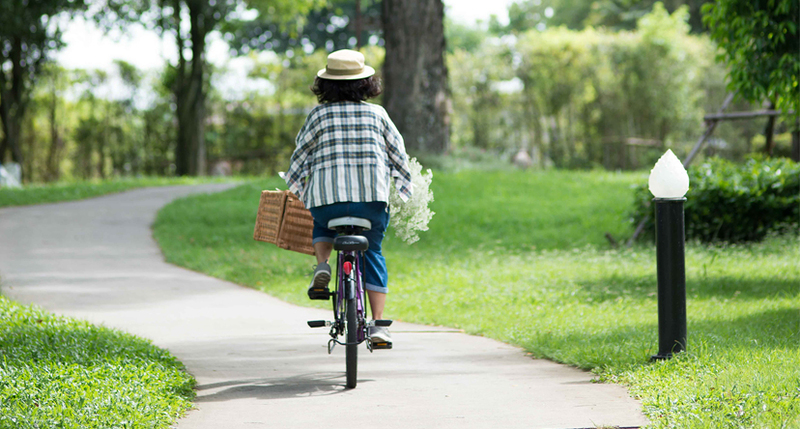 What is a better way to see such a beautiful country up close than on the bicycle? 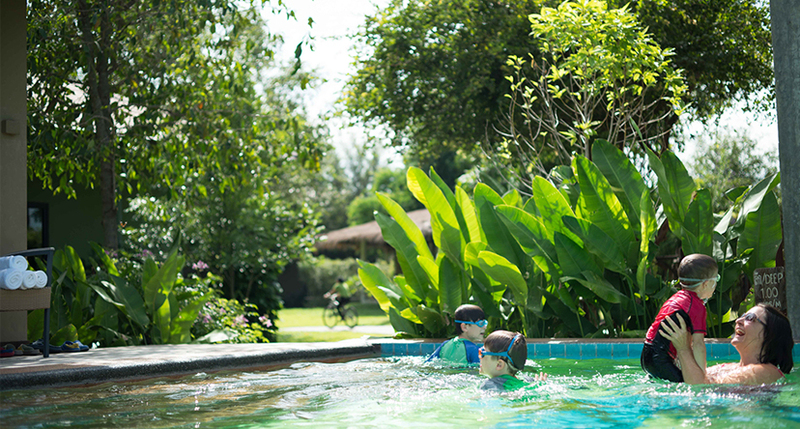 Enjoy the fresh air, beautiful surroundings and authentic rural Thai village at a leisurely pace. 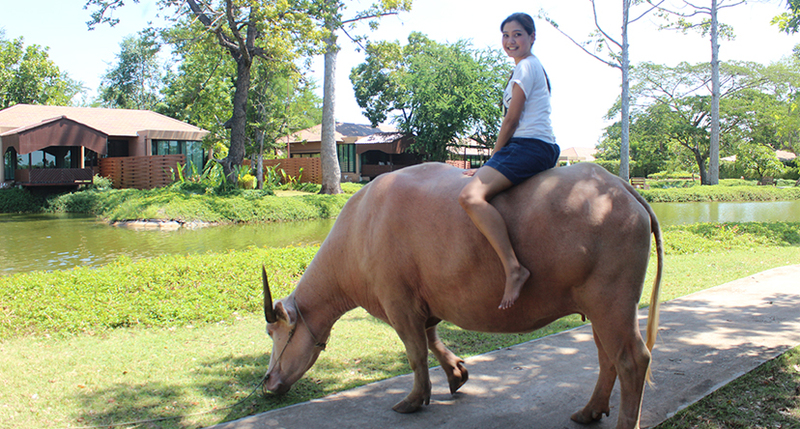 Water buffaloes have been played a significant role in the Thai agricultural system. Adjacent to Wishing Tree, are traditional farmers' villages where the rural scene of water buffaloes plowing rice fields, rice planting, harvesting, is still a very common sight. A highlight of your stay visit at Wishing Tree is a chance to ride on a buffalo's back. Take a trail ride back in time through the scenic area with the added charm of the Chi River, lush greenery and traditional rice fields. 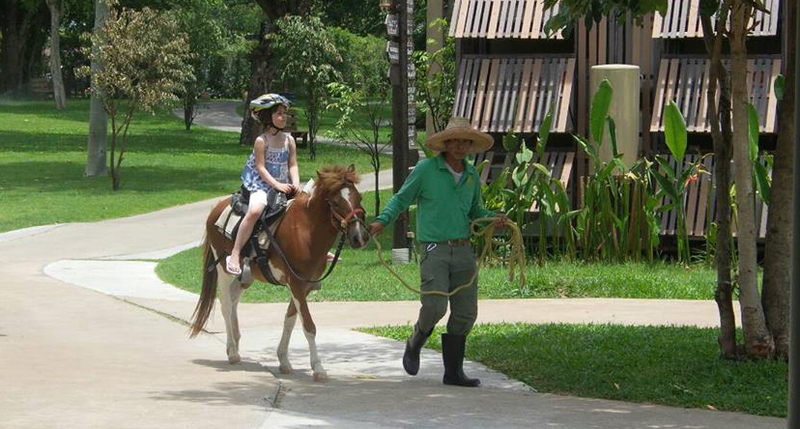 Wishing Tree offers horseback riding within the resort, where you can reconnect with nature and an earlier time when life was slower on the back of a horse. Looking for activities for children during your holiday at the resort – this is the perfect day out for kids of all ages and big kids too! Each animal on the farm receive personalized attention, loving care, and many have impressive stories of their own. 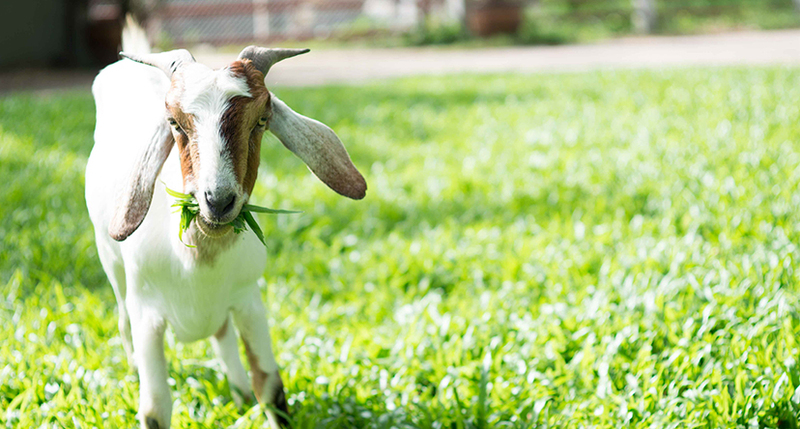 Read more about the animals at the farm. The Wishing Tree’s edgeless pool by the river has a visual effect of water with no boundary. It appears to merge with the Chi River and the sky. The perfect retreat for swimming, or sipping refreshing beverages while bathing in the sun, right next to the Chi River. 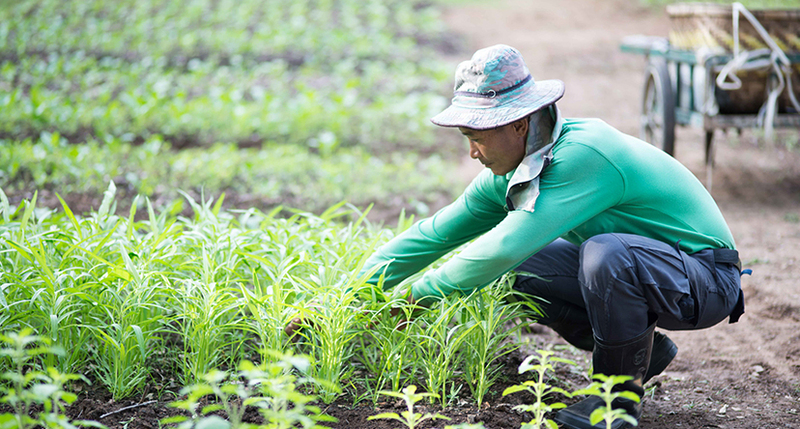 The Wishing Tree resort features a unique mini-farm behind the resort, where organic and agricultural product are grown and are a demonstration of the village life of rural communities in Thailand. The garden supplies agricultural products for the restaurant of the resort, as well as for the Thai cooking class.